Prickly Pear Inn is looking for a local part-time, experienced Housekeeper. If you are interested please send your Resume’ to PricklyPearInn@gmail.com Attn: Cherie. Thank you. ARE YOU THE ONE? We are looking to add an extraordinary, experienced plumber who is passionate about their work. Someone who is outgoing and self-motivated with a natural ability to present and explain repair and installation options to homeowners as well as apply their skills and knowledge in the assembly, installation, maintenance, repair and servicing of plumbing lines and fixtures. -Basic plumbing skills required including having experience servicing, troubleshooting, diagnosing, repairing and installing water heaters, toilets, sinks, faucets, drains, garbage disposals, various valves, pipes, drains, water softeners, RO systems, etc. -Ability to re-pipe or re-plumb a home including fixture installations without help. -Ability to cut and thread pipe, using pipe cutters or a pipe-threading machine. -Knowledge of all tools, equipment, and skills necessary for the complete installation of projects common to the residential service side of the plumbing industry. -Experience with the following a plus: leak locating, sewer cameras, running gas lines and LP, sump pumps, ejector systems, commercial plumbing and water treatment. -Hand tools required for the plumbing trade. -Professional attitude and customer service skills. -Ability to use scheduling software app on Smartphone. -Motivated and able to work alone or with a team, and with the skills to lead a team when required. -Maintain a clean, professional appearance. -Plumbing license or certifications is preferred, but not required. A standard work week is Monday through Friday from 7:30 am to 5:00 pm. We are an ambitious, fast-growing plumbing company seeking an experienced service plumber. We are one of the top plumbing companies in North Phoenix Valley, family-owned and locally operating in a small service area with a loyal customer base. We are a fun, lively group who enjoys what we do and live up to our tagline, “your friendly neighborhood plumber.” Say goodbye to the big conglomerate corporations where you are just a number on a schedule board and become a big part of a tight-knit team in a smaller local community where you get to know your customers and the neighborhoods.You can count on stability, growth, and room for advancement on the ground floor. Contact us at info@infamouspoolcare.com to learn more! 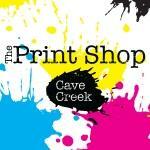 The Print Shop Cave Creek is needing to hire two graphic designers. One full time and one part time. We require a degree and a couple years in print production or print shop. Experience with InDesign is absolutely a necessity. Positive attitude and good customer service skills are important to our community.Our hours are 8am to 4pm Monday thru Friday. We are also closed for major holidays.Please email me your resume, Tammy, at my manager email: t.dymarcik@theprintshopcc.com.Or stop on by and say “howdy”. Lone Mountain Memory Care is Hiring! Looking for an experienced technician with 3-5 years experience in residential and commercial landscape maintenance. This job is consistent, full-time, year-round work with paid holidays and earned paid sick time. A 360 View Window Cleaning Co. is in need of that certain someone.As our business grows with our community, we have found ourselves in need of help. We are looking for someone who can do these tasks. Clean and current drivers license, must be able to carry up to 40lbs, must be able to carry and utilize a ladder, must be on time every day! (Our clients rely on us to be prompt.) M-F and once in a great while, a Sat. We meet at 8:00 every morning. If you are interested in a position with our company, please contact us at 602-882-1632. ProSkill is ALWAYS looking to bring on qualified technicians who live in Anthem or the immediate surrounding areas. We are ONLY looking for QUALIFIED Technicians who are already in the Plumbing, Water Treatment or A/C industry. Our goal is to continue to invest in the local economy and increase our presence in Anthem; Our Home Town! So WHY would you join the ProSkill Family? To be part of something! ProSkill is looking to bring innovation and change to the Plumbing, Water Treatment & A/C service industry. Owners, Tyler & Travis Ringe, are dedicated, involved owners who desire to improve their employees quality of life while also providing them a career they can be proud of. We have a proprietary compensation plan that turns your truck in to your own little business. It rewards efficiency, quality workmanship, customer satisfaction and consistency. This is NOT a commission position! Compensation range is $60,000 – $120,000+ a year. WE ARE HIRING! Looking for a Driver / Crew member. Duties include driving our dump truck from job to job, loading and hauling Rubbish and Debris, talking with customers, quoting and biding jobs, and dumping! Message us if interested. Please share, and if you know someone who might be interested, pass this along. Carefree Clarity is hiring full-time and part-time window cleaners, with Monday, Wednesday and Friday, or Tuesday & Thursday shifts available. Trainees start at $12-$15/hr and experienced window cleaners start at $15-$19/hr! UNEMPLOYED, UNDEREMPLOYED, RETIRED, NEED TO SUPPLEMENT INCOME LOOKING FOR A CAREER CHANGE ????? If any of the above apply to you, we have an opportunity that just might work for you. 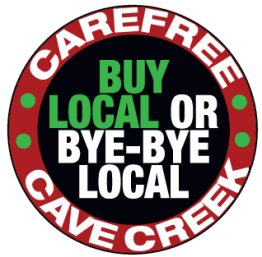 Over nine years ago, Pepper started his own private car service to fill a need in Carefree/Cave area. By all accounts, it has been successful. In fact so successful that he is looking to refer some of his overflow business to other independent operators who can provide the same level of service to his clients as he does. The name of my business is: PEPPER’S PRIVATE CAR SERVICE. The website is: www.pepperscarservice.com ……check it out. Pepper is not looking to hire anyone. On the contrary, he is seeking like-minded people to whom he could mentor and possibly offer an ownership option as he ponders retirement or slowing down somewhat. This is not a multi-level, or direct marketing business. I am not selling a franchise or charging any fees for my mentorship. We typically attract a different clientel than Uber or Lyft. I am, however, looking for like-minded individuals (male/female) who, for whatever reason, want to own and operate their own private car service and who might be interested in ownership opportunities. In our early stages, Pepper formed “YOUR NEIGHBORHOOD CAR GUY NETWORK of Arizona®” which provides flexibility to its members. Pepper’s motives are truly selfish. He has more than he can handle and it continues to grow. There is enough business in the valley that we don’t have to consider each other as competitors. Our business model is successful. Our branding is recognizable and effective. The phone rings. We book business. We give great and affordable service. Unfortunately, sometimes we have to turn away business due to schedule restraints and capacity limitations. That’s where our coalition partners would enter the picture.